The language is recorded in an Atayal–English dictionary by Søren Egerod and several reference grammars (see References). The Bible has been translated into Atayal and was published in 2002. Atayal is written in the Latin script. 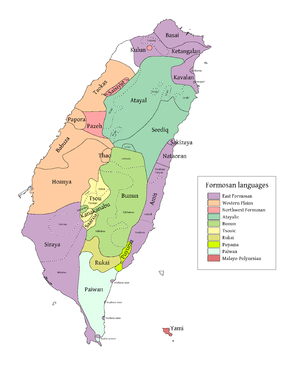 Atayal was one of the source languages of Yilan Creole Japanese. 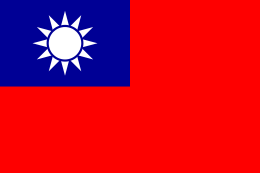 Atayal people resides in central and northern Taiwan, along the Hsuehshan mountains. The image depicts two major dialect groups of Atayal language. ↑ Hammarström, Harald; Forkel, Robert; Haspelmath, Martin; Bank, Sebastian, eds. (2016). "Atayal". Glottolog 2.7. Jena: Max Planck Institute for the Science of Human History. 1 2 3 4 Huang, Lillian M. (2000b). Verb Classification in Mayrinax Atayal. Oceanic Linguistics, Vol. 39, No. 2 (Dec., 2000), pp. 364-390. Lu, Anne Yu-an (2005). Order and Interaction of Prefixes in Mayrinax Atayal. Hsinchu, Taiwan: National Tsing Hua University.